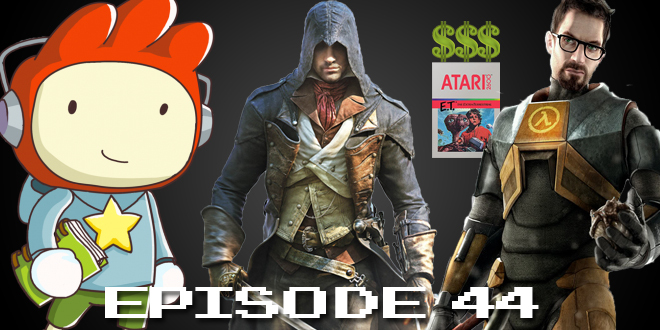 The Gamesmen, Episode 44 – A Landfill of Unity | The Gamesmen- What role will YOU play? Join Amras89 and Hardlydan for game talk and fun! This time, The Gamesmen talk about Far Cry 4 not having map creator multiplayer, how to complete Far Cry 4 in under 30 minutes, E.T. carts sold, Lumino City launching, Nintendo UK launches digital magazine, Half-Life 2 is ten, Evolution Software apologizing, Elite Dangerous not having an offline mode, and images of the new Game Of Thrones Game. Games discussed are Elite Dangerous, Assassin’s Creed Unity, Scribblenauts Unlimited, Mario Kart 8, Star Citizen, Colin McRae Rally, and The Forest.